Open Field, Cornell College’s annual literary magazine was first published half a century ago, in 1968. Fifty years later, the publication still brings joy to the students involved. With five decades worth of editorial content, Tobin said you’d be surprised at how much students in 2019 think about the same things students did in 1968. That doesn’t mean a lot hasn’t changed with the publication, though, especially with the layout and printing. It’s not just the layout technology that has changed, either. The actual type of art and literature submissions are different too, and the students know each year will bring even more changes. The board says creativity is key in this process of constructing each year’s Open Field masterpiece. “Each year the campus really shocks the editorial board with the sheer breadth and caliber of work submitted, and it is such a relief to finally see the magazine we have been waiting for coming to life,” Salsman said. And seeing the final product filled with art and literature created by Cornellians is enough to make students smile whether it’s 1968 or 2019. The deadline to submit creative writing or artwork for the 2019 magazine is Jan. 18. Students can go to the Cornell College website to submit their work. The board would like to gather as many submissions as possible under the following categories: Visual art (photography, comics, digital art, mixed media, scans of drawings) and literature (poetry, creative nonfiction, fiction). The finished magazine will debut on English Awards Night during Block 8 and will get distributed afterward. 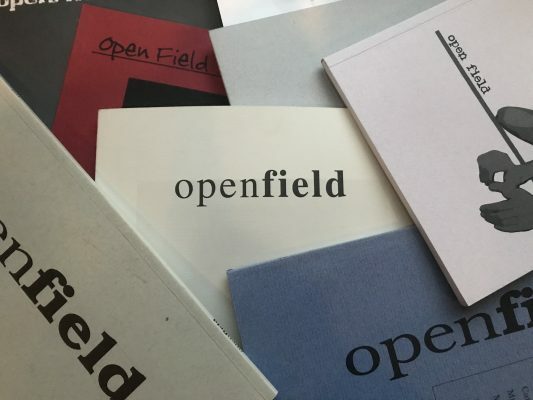 Any students looking for more information on how to submit their work for Open Field can also attend a workshop for Submittable, the service used for processing and receiving submissions, held by the editorial board on Wednesday, Jan. 16, from 5:30–7 p.m.